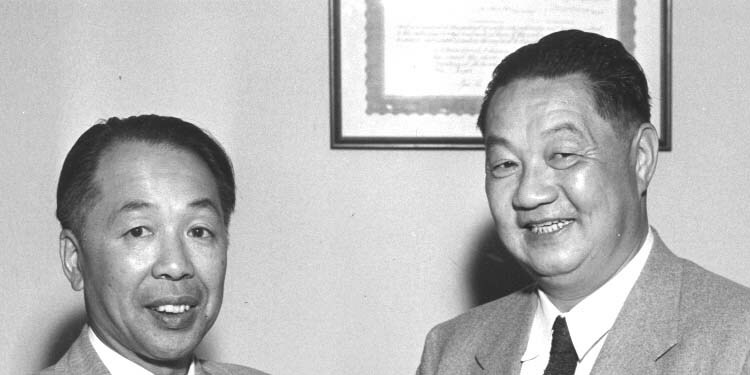 In the early 1950 , the time to organize a CACA chapter in Salinas was on the minds of Dr. Gene Dong and Joe Lee. 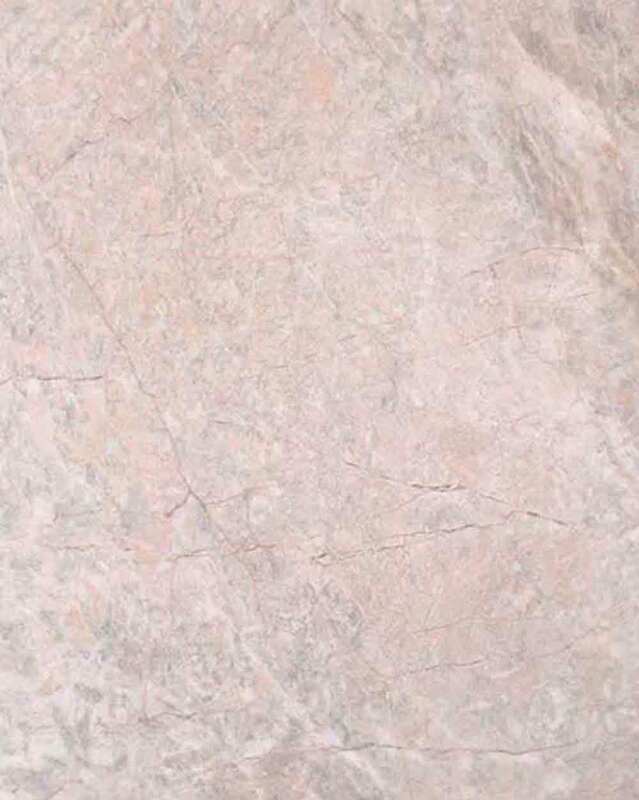 Through concerted effort , Salinas Lodge Chapter 11 was founded in October 1952. Qualifying members consisted of war vets, college grads, and many businessmen The members were in the 21-50 age range. 52 signed up, 2 above the 50 minimum required at that time. The Lodge played an immense role in a the social exchange of its members and their growing families. 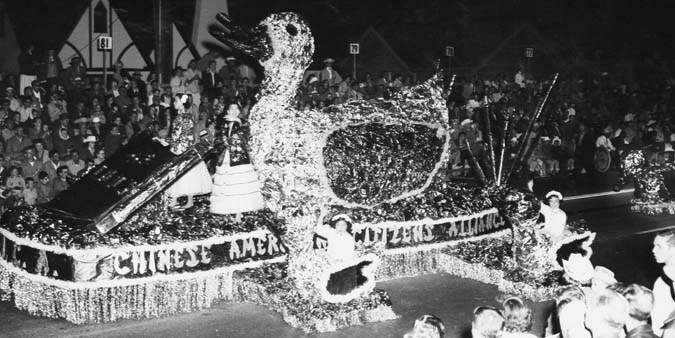 In the Lodge's early years, annual participation in the now-defunct Colmo Del Rodeo billed as the Biggest Night Parade on the West Coast was a must. 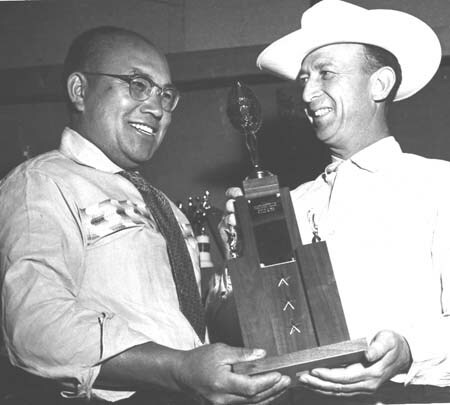 Even in increasing competition each year, Salinas Lodge still captured GrandSweep-stakes trophy , winning 5 of 6 members-bullt float entries. Financial independence for the Lodge began by buying real properties for rental purposes and selling then later at a profit. Another soure of Lodge income came from members selling tickets at Rodeo and Airshow booths. Currently, Folding and bundling used newspapers are sold to Salinas Valley flower growers. The funds derived from these sales are placed into 6/$500 scholarships given to High School seniors annually. 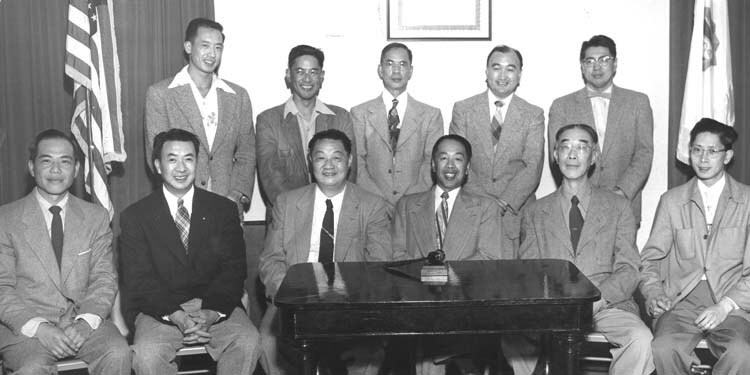 The cost shared equally with Salinas Chinese Assn (Chung Wah). Over the years, only 2 cases of discrimination were brought to the attention of the Lodge by its members, The cases were of unfair job loss of these two professional men. After the Ladge's investigation and active involvement, the members were eventually reinstated. The Grand Lodge Biennial Convention has been held in Salinas twice in '65 and in '83. The delegates and their families in both times reportedly reveled in the relaxed friendly , down-home style of entertainment, food and this atmosphere very likely prevailed in the doings of the Grand Lodge business meetings. Of the the original 52 members that began with the Salinas Lodge at our 45th Anniversary Dinner, 15 stalwarts are still present. 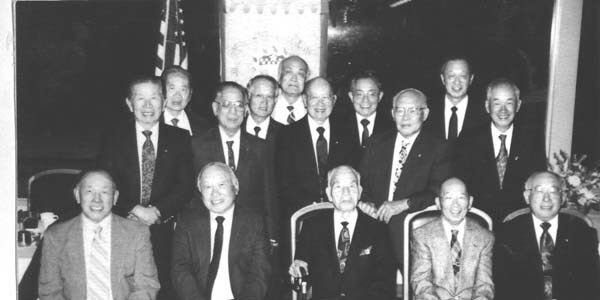 With continue good health, Brotherly Love, good cheer and moving into the millenium 2002, this group will become a rare and proud 50 years as members of the Chinese American Citizens Alliance.